Vancouver is a top moving destination in Canada. Consistently rated as one of the best cities in the world to live in, newcomers flock to Vancouver from all over the world. Ethnically diverse, economically vibrant, and rich with beautiful landscapes, Vancouver is a really wonderful relocation destination. However, it is rare to hear anyone say that moving is easy. In fact, moving is said to be one of the most stressful activities in life. A good way to avoid moving stress is to hire a great Vancouver moving company to handle your relocation. 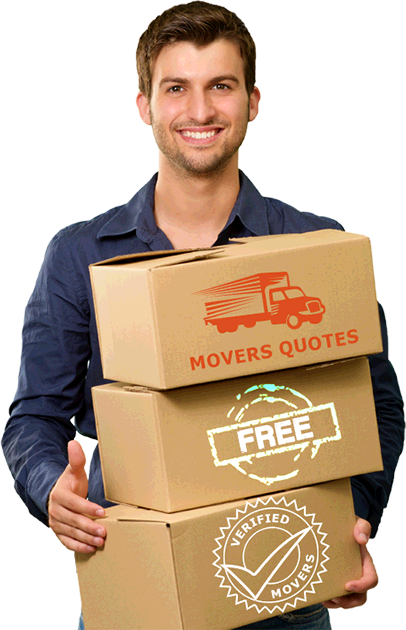 You can easily find the best moving company for moving to Vancouver with 5 free movers’ quotes. Depending on where you are moving from, it may be possible to get on a rented truck with all your belongings and drive to your new home. But there is so much at stake here, and it isn’t just about money. Sure, it is possible to save a few bucks renting a U-Haul rather than hiring a moving company. However, you can experience many problems which could cost you much, much more in the end. ✓ Will your household goods and personal belongings be insured during your move? ✓ What do you do if your rented truck breaks down halfway to Vancouver? ✓ Can you safely load and unload all your furniture and belongings to a truck? ✓ What happens if you get into an accident or injure yourself? ✓ Do you have the right moving equipment to ensure the safety of your furniture and boxes? Moving heavy furniture and boxes can be difficult and awkward. It needs the right equipment and the right number of people who know what they are doing. Hiring a professional moving company eliminates the risk of injury, damage, and unforeseen events. It’s absolutely true that hiring Vancouver movers can save you money in the long run. Many people hesitate to hire a professional moving company because they worry about the cost. They want to cut corners, do the move on their own, and basically just close their eyes and get it done. The truth is that Do-it-yourself moves are not as wonderful as they seem. Moving is highly stressful when you take on more work than you can handle. Although a moving estimate from a moving company may make you groan at first, you could end up paying double that with a DIY move. When you see the low rate of a truck rental, you estimate the cost and forget many details such as cost of insurance, fuel, refreshments, rental costs, etc. After doing all the hard work by yourself, you would be surprised to find you spent almost the same as if you hired movers in the first place. And don’t forget the cost to replace any items damaged during your move could be hundreds of dollars, too. In fact, because there could be unexpected surprises, DIY moving expenses can spiral out of control. There are many good reasons people hire moving companies – convenience, safety, efficiency, and savings. Check hiring movers vs. renting a U-Haul truck to compare the pros and cons. When you hire a moving company in Vancouver, you get many benefits that make moving stress-free. Professional movers work with the right equipment and can get your move completed in less time. How much does moving cost in Vancouver? The cost for moving locally or long distance in Vancouver depend on several factors. Local moves in Vancouver are charged hourly rates. These rates vary from one moving company to another. Charges for long distance moves are calculated based on distance of travel and the weight of cargo. Professional movers provide an initial moving estimate based on information you provide. It is advisable to arrange an in-home inspection with a moving company to get a guaranteed moving cost based on an actual inspection of your goods. An in-home inspection allows the moving company to assess the size of truck needed, the number of movers needed, and your moving cost. The best way to get the cost for moving in Vancouver is to request for free online moving quotes. There are many moving companies operating in Vancouver. But you shouldn’t hire the cheapest mover. Rather, you need to find a good moving company to handle your move with the right price. Below are some of the leading moving companies serving Greater Vancouver. This moving company serves all points across Canada and local moves in British Columbia. It is a network of drivers who own their trucks and adhere to the company’s standards of excellence and quality. It has an A+ rating with the Better Business Bureau and carries the required insurance to protect your move. This moving company has one of the longest histories in Vancouver’s moving industry and rated A+ by the Better Business Bureau. The company offers local and long distance moves and a unique service with its frogboxes. These storage containers are delivered to your door and loaded with your belongings. They are then stored in secure storage units. They provide moving in Vancouver, Edmonton, Calgary, Toronto, and even US destinations such as New York, California, or Florida. Founded in 1996 and based in Vancouver, this moving company is privately owned and operated. It specializes in long distance and specialty moving services across Canada and the USA. The company provides flexibility in its moving services, allowing customers to choose to do some of the work if they prefer to do so. They provide packing and unpacking, loading/unloading, and transport. You can choose only partial packing of fragile items to save on moving costs. This Vancouver mover provides dependable and on-time moving services. The company guarantees high quality moving services with no hidden charges. Rated A+ by the Better Business Bureau, it was also named one of Best of 2016 by Homestars. It offers local and long distance moving anywhere in Vancouver, across Canada, and the USA. This moving company specializes in affordable and fast moving services for homes and businesses. The company offers upfront moving costs and the best customer service. You can count on this moving company for moving in the BC area or long distance across Canada. They also provide piano moving services, senior relocation, packing services and deliveries. This moving company is licensed and insured for residential and office moving. Based in Vancouver, it has served Vancouver Lower Mainland since 2009. The company’s movers are owner operators that provide efficient and high-quality moving services. Their best offer is $85 per hour for a truck with 2 movers. This Richmond and Vancouver moving company guarantees on-time moving. It uses a patented rainforest wrap for the protection of your household goods. The company ensures that your move is hassle-free with affordable moving rates in Vancouver, Richmond, Lower Mainland, and all tri-cities. This moving company provides relocation in the entire Greater Vancouver and Lower Mainland. It offers corporate relocations, household moving, and storage services. The company can help you relocate from BC to Alberta or from Newfoundland to BC. I fact, they can move you anywhere in Canada, the US, or even the world. They aim to ensure the safe and timely transport of your goods in the most affordable way possible. You can move with any of these moving companies. Compare moving quotes to check the best moving packages that suit your needs and budget. Moving doesn’t have to be stressful. In fact, when you hire a moving company, you can choose not to lift a finger and just enjoy the adventure of moving to a new home. People who are searching for the right mover have different priorities in mind. Some want cheaper moving services while others want to ensure the mover is professional, dependable, and can guarantee the safety of their goods. It is possible to achieve all these when you compare moving companies in our network. Our free moving quotes allows you to compare moving companies and their services so you can get the best price. Fill-out our short online form today to receive 5 moving quotes from leading Vancouver moving companies. Our moving quotes are free and no obligation!